I have been an avid reader of the Marketing Insider Group blog for a while now, and read this great post on 6 Examples of AI Marketing by Michael Brenner, a CMO influencer whose work has been featured in many national business publications. The topic of artificial intelligence and how it is changing human workflows has been interesting to me. And, this specific post speaks to how artificial intelligence is changing the marketing world, a topic that is directly related to our day-to-day marketing roles. I asked Michael if I could republish this post on the Red Rocket Blog as a guest post, and he was kind enough to let me share it with all of you. Thanks, Michael! I hope you all enjoy this great piece on how technology is taking marketing to the next level. Technology is evolving and the world of online marketing is evolving along with it. Artificial intelligence and machine learning now make a wide variety of marketing tasks easy; even those which would have been impossible only a few years ago. We’re still in the very early stages of using AI in marketing but even so, there are some impressive applications that are already available and in use today. Here are just a few examples of how AI is currently being used in digital marketing. Most people will already be familiar with the tailored recommendations that are offered when you log into a site like Amazon or Netflix. These recommendation engines have become increasingly sophisticated over the years, and can be startlingly accurate, particularly for users who have had an account for several years so the service has been able to collect lots of data. It can use this information to deliver product recommendations based on your interests, past purchases, and what other people have purchased who also bought the same items as you. For example, if you’ve previously bought a printer then Amazon is quite likely to recommend you print cartridges and paper. If you’re expecting a baby and you’ve ordered stretch mark cream and pre-natal vitamins, don’t be surprised if baby clothes and toys start popping up in your recommended products. All this is powered by an AI framework called DSSTNE that has been released as open source software to improve its deep learning capabilities. Providing discounts is a surefire way to increase sales, but some customers will buy with a smaller discount, or if there is no discount at all. AI can be used to set the price of products dynamically depending on demand, availability, customer profiles, and other factors to maximize both sales and profits. You can see dynamic pricing in action using the website camelcamelcamel.com, which tracks the price of Amazon products over time. Each product has a graph showing just how much the pricing fluctuates depending on season, popularity, and other factors. If you’ve ever searched for a flight and then gone back to buy it a couple of days later only to find it’s gone up a few hundred dollars, this is also a good example of dynamic pricing at work. Facebook Messenger, Whatsapp, and other messaging apps have become a popular and convenient way for customers to contact companies, but ensuring the accounts are constantly staffed with customer service agents can be expensive. To reduce the workload and provide a faster response to customers, some organizations are now using chatbots to deal with common customer queries and provide instant replies at any time of the day or night. With virtual assistants like Siri, Google Assistant, Alexa, and Cortana, we’re getting more comfortable with chatbots and in some cases even preferring them to a real person. Chatbots can be programmed to provide set replies to frequently asked questions and to direct the conversation to a human agent if the question is too complex. This means that customer service time is reduced and the workload lifted, leaving the agents free to deal with conversations that need a more personal response. Machine generated content has been around for quite a while but the first unsophisticated attempts were pretty unreadable – they may have fooled the search engines (temporarily) but not humans. AI for content creation has now become incredibly sophisticated to the point where Stylist magazine published three automatically generated articles created by Articoolo in its special “Robots” edition. Automated content software is now able to generate news stories and reports in a matter of seconds that would take a human writer hours or days to create. Even if you don’t trust machines to take over your content creation process entirely, they’re still useful for smaller tasks like generating your social media posts. The Washington Post uses in-house reporting technology called Heliograf to write basic social media posts and news stories. Computers are also pretty good at coming up with formulaic headlines, particularly those that can be classed as “clickbait”. Search algorithms are improving all the time in every aspect from small database product searches on ecommerce sites to search engines like Google that are used by millions of people every day. Integrating AI into search can pick up misspellings and suggesting alternatives (“did you mean…”) and may be influenced by your past browsing or shopping behavior. Google is becoming increasingly sophisticated at working out searcher “intent” For example if someone searches for “Apple” are they looking for information about the fruit, the technology company, or the record label? Most search engines know if a user is on their mobile phone and searching for “coffee shops” they’re looking for a coffee shop within a few miles, rather than researching coffee shops in general. Special results such as shopping and Google My Business results are also providing a better user experience for searchers, and voice search is becoming more commonplace as the number of AI-powered devices and assistants continues to grow. A/B testing is the traditional approach to optimizing marketing messages and display ads, but it’s a painstaking process with an infinite number of variables to try out, and therefore takes up a lot of time and resources. With AI algorithms you can continually and automatically optimize your ads depending on conversions and interactions. AI ad optimization is already in use on social networks such as Instagram. Algorithms analyze the accounts that a particular user is following and will show the ads most likely to be relevant to this user. This provides a better experience to the user and a better ROI for the advertiser as fewer ads are shown to people who aren’t interested in them. For future posts, please follow me on Twitter at @georgedeeb and Michael at @brennermichael. 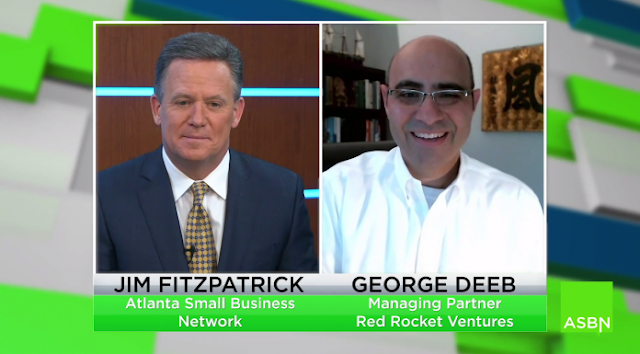 I was recently interviewed by the Atlanta Small Business Network (ASBN), an online "television network" serving the small business community, about the pluses and minuses of startup incubators and accelerators. I thought this video turned out great, and I wanted to share it all with you, to help you determine if startup incubators and accelerators are right for you. I hope you like!! The embedded video player didn't give me the option to change the size of this video. But, if you want to see a bigger version, simply click the expand size button in the player above, or feel free to watch it on the ASBN website. Thanks again to Jim Fitzpatrick and the ASBN team for having me on the show. I look forward to our next interview together. Red Rocket gets introduced to hundreds of startups each year, in the normal course of doing business, or via our involvement with various startup groups or events. We wanted to honor the best of these startups that we met in 2018, in Red Rocket's 7th Annual "Best Startups of the Year". This list is not intended to be an all-encompassing best startups list, as there are many additional great startups that we are not personally exposed to each year. 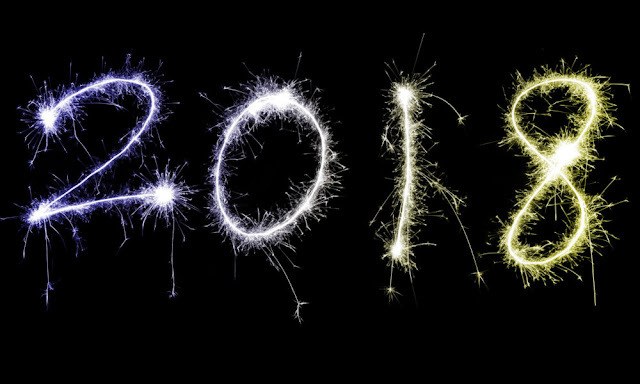 And, this list is not intended to be only for businesses that launched in 2018, it is open to startups of any age, that they or their advisors had some personal interaction with us in the last 12 months. The business simply needed to have a good idea, good team or good traction, that caught our attention. Congrats to you all!! And, don't forget to check out the 2012 winners, 2013 winners, 2014 winners, 2015 winners, 2016 winners and 2017 winners, many of whom continue to be doing great things. 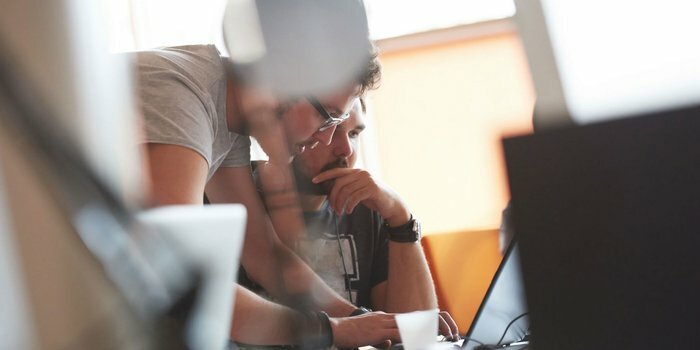 Last month, I wrote an article for Entrepreneur about the importance of a startup to Keep It Simple Stupid, in terms of setting their business strategies and processes. I was fortunate that the Atlanta Small Business Network (ASBN), an online "television network" serving the small business community read that article and invited me on their show to talk about it. I thought this video turned out great, and I wanted to share it all with you, to help you think through your business strategies. I hope you like!! The embedding option didn't give me a chance to change the size of this video. But, if you want to see a bigger version of this video, simply click the expand size button in the player above, or feel free to watch it on the ASBN website. I have previously written about how to write a business plan, including the key components that are needed to attract investor attention. But this was more of an external document to use with third parties like venture capitalists or banks. Building an internal, long-term strategic plan for the business, that is going to guide management with its decision making, is different. It is a lot more detailed and can take months to create. Here are the top six key components for building a killer strategic plan for your business. Our brains have been wired to think about our careers going up the corporate ladder over time. A manager becomes a director, a director becomes a vice president, a vice president becomes a president, etc. Obviously, there are a lot fewer job positions the further you go up the ladder. A typical company may have 125 managers, 25 directors, five vice presidents and one president. The odds of moving up the ladder aren’t really in your favor, with 80 percent fewer positions at each next level. But, people need to make a living. 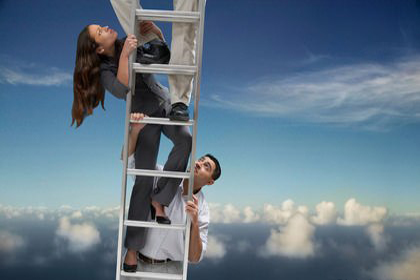 What happens when an employee needs to go back down the ladder to find more open positions? Is that a good idea for you as a hiring manager to consider that candidate? Let’s find out. Red Rocket recently acquired Restaurant Furniture Plus, a B2B ecommerce website selling furniture to restaurants. What made this business different from most of the other businesses I have managed was the fact it was 100% a virtual company. The founders worked from their homes in California and the fulfillment team worked from their homes in Ohio. So, we decided to try to continue to operate the business as a virtual workplace, with the owners working from their homes in the Chicago and Raleigh areas and the rest of the team working out of their homes in the Cleveland area. 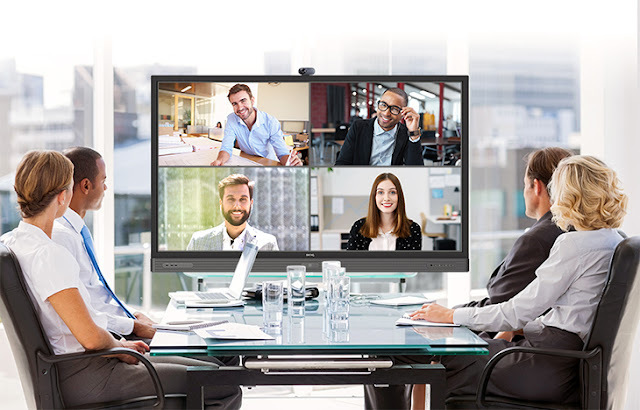 It has been an interesting learning opportunity that I wanted to share with you, as you consider the pluses and minuses of virtual teams for your business. Lower Costs: Since you don’t have to pay expensive and growing rent for a home office facility, you can save material expenses and reinvest those savings into other more important areas of your business, like talent or marketing. And, you can just as easily hire talent in a lower cost market like Des Moines, as you can in a higher cost market like San Francisco. And, virtual workers often come with their own home offices set up, so no material costs for computers, internet or phones. So, hopefully, your virtual company has the potential to be materially more profitable than your non-virtual, traditional competitors. Happy Employees: One of the appeals of a virtual workplace is that many employees are looking for the flexibility that comes with that. They can work from their homes, and not deal with long commute times each day. They can more easily set flexible work hours, and squeeze in personal time, as needed. They can come to work in their pajamas if they like!! Just make sure the staff member really has the desire and discipline to truly work from their homes, as many people can’t clearly separate their work life from their personal life when doing both in the same location, or would have a tough time working by themselves every day. Higher Productivity: Without an office, there tends to be fewer unnecessary meetings. So, more work gets done and employee morale is better when they are more quickly crossing work tasks off their list. And, you can more easily hire local experts or benefit from local relationships that improve productivity as compared to outsiders learning a new market. This also replaces the need for travel time, where they can put those costs and hours back into the company in more productive ways. Flexibility: With virtual companies, you can more easily scale them up . . . or down, in case your business ever gets into a slump, not saddled with expensive long-term real estate leases, as an example. And, if ever needed, you can have staff geographically located across the globe, to allow for a 24/7 customer service experience. When not “handcuffed” by a physical office, the world of options are literally available to you. Harder to Manage: There are clear advantages of having all your employees in one location. You can more clearly see the work getting done . . . or more practically, not getting done. You can more easily walk down the hall to have a face-to-face conversation with someone or see whether their inbox is overflowing with uncompleted work. So, you have to be really good at leveraging online video and collaboration tools as best as you can to recreate the in-office experience. But, you’ll never get the same physical cues you get from people when being in the same place. Harder to Team Build: It is much harder to create a culture that you aspire your team to work towards, when they are all working out of their homes and not really getting team exposure on a daily basis. And, you can’t easily get the team together to celebrate employee birthdays or Friday happy hours, as examples. You will have to be creative in how you get your staff to build loyalty to the team vs. loyalty to themselves, with incentives or team contests or whatever. Harder Legally: Instead of having to know employment laws, hiring practices and payroll tax rules for one location, you may need to learn how to live by the rules of all cities in all states (or the whole world). But, at least there are centralized HR tools you can leverage to help you deal with these types of issues. And, don’t forget about the potential security risks of having all your important customer or business data stored in the cloud, instead of under lock and key in your home office. YOUR FIRST DECISION--WHERE TO LOCATE NEW EMPLOYEES? When we acquired Restaurant Furniture Plus we inherited the team in Cleveland. But, we quickly needed to expand the team to support our sales growth. But, in what market do we hire these people? Do we hire them closer to the owners in Chicago or Raleigh? Do we hire them closer to the Cleveland team? Do we hire nationwide? The immediate instinct was we can hire the best talent wherever they reside, nationwide. But, when we thought about the payroll tax implications of managing employees in 50 states and that became a daunting endeavor. Then, we thought, we will hire the new team members near the owners, and ultimately build our “headquarters” near one of us, so we can more easily manage them in person, if needed. But, we ultimately decided, that we will need to be training the new staff on their new jobs, similar to the roles of the Cleveland team, so it will ultimately be easiest to hire all new staff in the Cleveland area. First, for simplicity in training and tax reporting. Second for ease of getting the team together for any in-person meetings over time. And third, all centrally located in one market, in case we ever wanted to open a physical office someday, if the virtual workplace experiment ever was a bust. The only downsides of that decision was, we have now set up the team in a market that is far away from the owners in Chicago and Raleigh (potentially making it tougher to manage), and we have capped our talent pool to the Cleveland area (instead of pulling from talent nationwide). But, we’ll see how it goes over time. There is no single right strategy here. You need to consider what is best for you and your business. So, as you can see, running a virtual company can be very different than running a traditional company. There are many advantages and disadvantages to consider. But, if you hire the right team members that are truly desiring and disciplined to work well from home, and put the proper group communications tools and online processes in place, there is no reason it cannot be successful. Or, better yet, materially more profitable than operating in traditional ways. I’ll let you know how our adventure into the world of virtual workplaces evolves over time. But, so far, so good!! 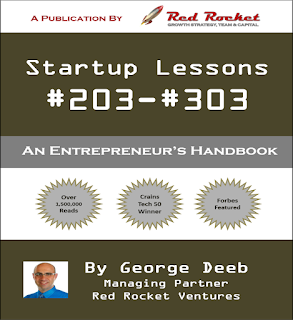 Red Rocket started writing its first "101 Startup Lessons--An Entrepreneur's Handbook" back in March 2011. Over seven years later, it has grown to over 303 startup lessons for entrepreneurs. It is a comprehensive, one-stop read for entrepreneurs who want actionable learnings about a wide range of startup and digital-related topics. The book is a startup executive's strategic "playbook", with "how-to" lessons about business in general, sales, marketing, technology, operations, human resources, finance, fund raising and more, including many case studies therein. We have demystified and synthesized the information an entrepreneur needs to strategize, fund, develop, launch and market their businesses. We published our first "101 Startup Lessons" in November 2013, and our second "Startup Lessons #102-#202" in April 2015. 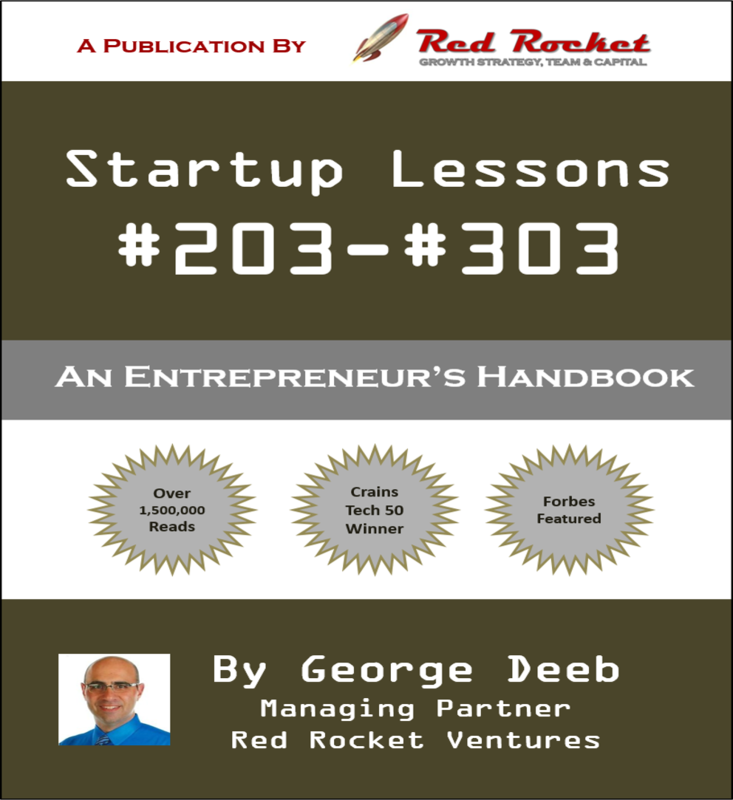 Now, we are excited to bring our third volume, "Startup Lessons #203-#303", to all of you in this freely downloadable eBook. Thanks to all of our 1,500,000+ readers who have already benefited from these lessons via our blog, which we will continue to update with new lessons in the years to come. If you also wish to download our first two eBooks, you can do so at this link. Building successful startups is not easy. That is why only one in ten startups actually succeed. But, if you are going to have any chance of success, you need to K.I.S.S. -- Keep It Simple Stupid. You have to boil your idea down to one specific thing, and stay religiously focused on that end goal. Which means not getting distracted by the various “flavors of the month” that can lead you down rabbit holes and stress out your organization in the process. Allow me to explain. Ecommerce has become a key part of consumers’ everyday lives. Many people have embraced the ease and convenience provided by ecommerce, often at the expense of offline retailers. The rapid growth in ecommerce has encouraged many companies to take advantage of this online shopping trend. But with the ever changing technologies in ecommerce and its increasingly competitive environment, one needs to keep abreast of future trends that will shape this industry in order to stay ahead of the competitors. Here are four top trends shaping the future of ecommerce, which I curated down from this list of 60 trends and other data points detailed in this great infographic from my ecommerce colleague, Josh Wardini at Subscriptionly, a curated ecommerce subscription box reviews site. Since the usage of mobile devices is nowadays widespread with most people using smartphones more than desktops to search online (56% of shoppers research products at home using smartphones), it’s imperative to have a mobile-friendly site. Moreover, a great percentage of mobile searches lead to purchase within an hour. 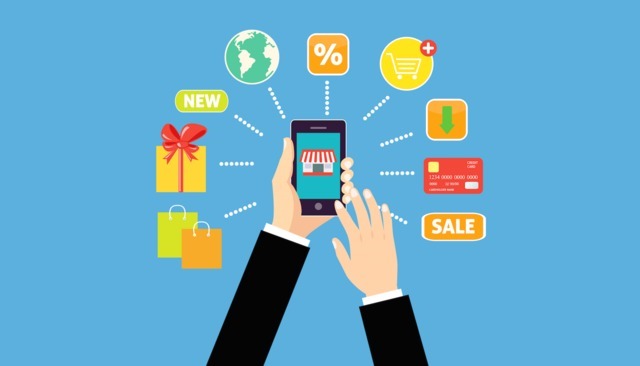 It’s estimated that by 2020, mobile ecommerce will constitute 45% of the entire ecommerce industry. Therefore, you need to create mobile-friendly stores because customers prefer getting brand and product information through mobile phones over desktop sites. Online shoppers prefer buying from stores that offer them a hyper-personalized experience. And they will switch to shopping from another retailer without any qualms if the personalized experience is poor. According to Gartner, brands that will effectively manage to personalize the shopping experience will enjoy a 15% increase in profit by 2020. Hence, only show your customers content that they would most likely be interested in. You can figure this out from their previous purchases to encourage them to continue purchasing from you, as well as by tapping into data that is specifically relevant for them. For instance, one retailer grew its revenue by 5 million dollars when it delivered personalized weather-sensitive updates to its clientele, promoting rain gear prior to known rainy days in the forecast. The cryptocurrency revolution has brought about disruptions which cut across all industries, including ecommerce. Today consumers want cheap payment methods, which is why they’re turning to cryptocurrencies as these have low transaction rates. For example, Bitcoin transaction rates are around half of the rate charged by credit cards. Therefore, Bitcoin and other cryptocurrencies will become a popular payment method in the near future. Besides, the privacy they provide appeals to many shoppers worried about credit card fraud. Adding cryptocurrencies to your payment methods will both attract new customers and increase your sales. Although most ecommerce businesses find it hard to make same-day deliveries, online shoppers have come to expect this kind of service from the biggest online retailers, like Amazon. It is forecasted that same-day shipping will soon become the norm because 72% of shoppers claim that they would be more receptive to shopping online if companies were to deliver their products within a day. To emphasize this point, it is believed that Macy’s 2015 partnership with Deliv, which saw the company providing same day deliveries for a $5 fee, is one of the reasons the brand become the second-largest online clothing retailer in 2016. Many changes in delivery services are expected soon to become a reality. It is forecasted that deliveries by drones should take no longer than two hours by 2028. Consumers are even willing to pay as high as $10 to see this speed of delivery happen. Start adapting to the above mentioned trends and effectively apply the necessary changes to yoru businesses, to ensure that that you stay one step ahead of your competitors. Thanks again to Josh and the Subscriptionly team for sharing their ecommerce trends infographic with me. It was great reading, that clearly communicated all the same trends I am seeing in the space, and was worth sharing with the Red Rocket Blog readers. Last week, I had the pleasure of being a speaker at the 2018 Startup Summit at NC State. It was a great event with all-star panelists and speakers offering terrific insights for entrepreneurs. So, hopefully, there are some nuggets in there that will help you all with your businesses. Thanks again Mark Bavisotto and Keith Washo at Startup Summit, for including me in your program. From time-to-time, you may need to find a consultant to help you with your business. Sometimes, those needs are high level, like setting strategies or marketing plans. And, other times, those needs are more point solutions, like a pro in search engine optimization or product sourcing. Whatever your need may be, there is most likely a consultant out there that is immediately available to help you. The problem is finding them. This post will tell you how best to fill your consulting needs. Not all consultants are created equal. A business generalist will not have the depth of a domain expert, as an example. But, on the flipside, maybe your business problems are so broad, that a jack-of-all-trades is well equipped to point you in the right direction to start, to then dig deeper with a different pro on that specific topic, once it is identified. And, consultants that are well versed in solutions for enterprise scale companies, are most likely not the right consultants to help early stage startups, with much lower budgets. So, be very clear on exactly what is needed for your specific pain point and company size, and focus there during your consultant interview process. Now you need to decide how long you think this consultant will be with you, and whether it is a full-time problem or a part-time problem. Some consultants prefer bigger, longer, full-time assignments. And, other consultants prefer smaller, shorter, part-time assignments. So, depending on what your business need is, will dictate what type of consultant you will need, and more importantly, where to look for them. You will also need to decide if the work needs to be done on-site, in your office, or if the work can be done virtually from the consultant’s office. The advantage of virtual consultants: it opens up the world of potential talent to you, instead of simply finding someone willing to work in your home market. That said, some work simply needs to be done in the office working hand-in-hand with your team, for efficiency sake. Like when hiring employees for your business, it is always best to start with someone you know and trust. If not for the work itself, for the introductions to potential consultants for you. So, maybe send an email to your fellow business colleagues or fellow CEO’s, asking if they have run into the same problem in the past, and if they are aware of any experts on that particular topic. Having that “stamp of approval” from someone you trust that has worked with the consultant in the past, should increase the odds of a successful outcome from the project. There are several websites out there that have built marketplaces to find consultants by topic, budget and location. Those include companies like Catalant (US focus), SpareHire (US focus), Talmix (EU focus) and Expert 360 (AU focus) where you can post your exact needs, and experts will bid their expertise and costs for you to choose from. LinkedIn also has a solution here called Pro Finder, but it is not as big as the other sites listed here, in terms of activity on that site. There are also sites like GLG and Coleman, where they have a network of thousands of specific domain experts, that you can get on the phone for an hour of their time, typically focused on enterprise scale companies. So, consider posting your needs on these sites and see how it goes. Social media is also a good place to look. Most people on LinkedIn have been recommended by their peers as experts on specific topics. For example, my LinkedIn network has tagged me as an expert in startups, entrepreneurship, business development, e-commerce, online marketing and venture capital, to name a few. So, search for people with the keyword topics you need to solve your pain point, and ask them to point you in the right direction. Someone with 99+ recommendations around the key term “fundraising”, is probably a pretty good fundraiser. Same thing on Twitter. Many people on Twitter add hashtags to their profile description with skills that they want to be known for, so search for those Twitter users (e.g., #BusinessCoach). The problem with Twitter vs. LinkedIn, in Twitter’s case, people are attaching tags to themselves, so you don’t really know if they are really a pro on that topic, or not. Whereas on LinkedIn, the tags have been made by third party individuals, which adds materially more credibility to their expertise. If you are looking for very specific point solutions, the freelancer websites could be the way to go. For example, the other day I needed an expert on the cloud ERP technology Odoo, and I went to freelancer sites like Upwork, Freelancer, Fiverr or Guru, where you can type in keywords of what you need, and their search engine will bring back the various talent in their database that should fit the bill. There are many other freelancer communities based on your specific skillset needed, but the ones I listed above are the big one-stop portal sites that have a little bit of everything. What I like about the freelancer sites, is you can see how busy/engaged these freelance consultants have been to date, and what their past client reviews have been. So, again, the importance of third party validation to make sure you are making a smart engagement. Most of the above is talking about finding specific individuals that can help you with your consulting needs. You could also consider engaging consulting firms that specialize in your particular pain point. And, no not the big firms like McKinsey, Bain or BCG, as they work on huge budget projects for huge enterprise companies. 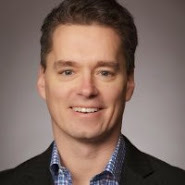 I am talking about the boutique firms you never heard of, like Maddock Douglas, whose expertise is around business innovation and are willing to work with early stage businesses in their target industries. You can throw Red Rocket in this bucket for your growth strategy needs. So, do a little digging on Google (e.g., “Chicago Brand Strategy Firm”) and see what you stumble on in the Google results. Then, ask to speak to their references before engaging them. Hopefully, you now have a much better understanding around how to find a consultant for your business and your specific pain point. It is very important you do your homework on that person or firm, to make sure they are the right person to solve your exact situation. The worst thing you can do is try to force a square peg into a circular hole, as all that will do is result in you wasting valuable time, energy and money to only end up in exactly the same place you started . . . stumped!! And, just like that, the content for our third book is now complete. We hope you have enjoyed reading our 303 startup lessons, to date, and continue to leverage them as your trusted how-to handbook for entrepreneurs!! And, given the topic of this post, we are hoping Red Rocket has proven itself over the years, as your expert growth consultant of choice. If there is anything we can help you with, don't hesitate to call. I don't usually talk about my personal life in this blog, but the opportunity presented itself. Music has always been a passion of mine and played an important part of my life. 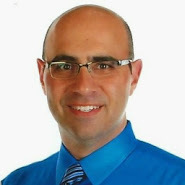 I composed a symphony at the age of 16, was the principal clarinetist, rank leader and fanfare band director with the University of Michigan Marching Band while in college, and am a self-taught pianist. So, I know a little bit about music, as I do business. I was not surprised when my life-long friend thought I would be interested in watching the below 2009 TED Talk from Itay Talgam, the Israeli musical conductor, which he recently sent to me. 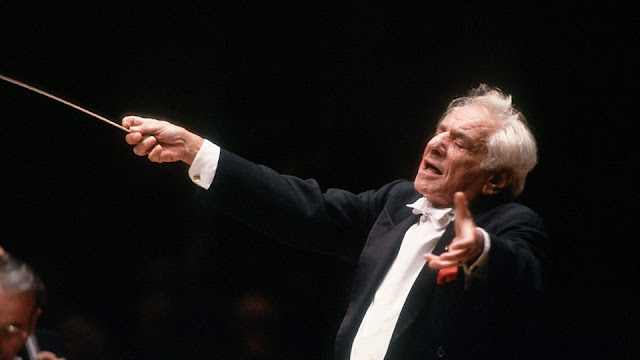 What did surprise me was the content of this video, and how Itay was able to brilliantly tie together leadership lessons from the great conductors in music to similar leadership lessons in the business world. Take a watch of this video, and then we will continue our discussion below. As you can see, Itay does a great job of critiquing many different great conductors and their styles, including Carlos Kleiber, Riccardo Muti, Richard Strauss, Herbert Von Karajan and Leonard Bernstein. A couple things really stood out to me in this video, that you can apply to your businesses. In music, the job of the conductor is many fold. The conductor will interpret the music as written by the composer. The conductor will set the tempo changes. The conductor will make sure the many individual players perform in unison. Doesn't that sound familiar to a business CEO, that interprets the business climate, sets strategies, determines the pace of growth and gets all the employees working in harmony towards to goal. They are exactly the same!! In both cases, it is a balance between the leader and their staff towards hitting their goals, as a team, while leveraging the individual strengths of its members. As you saw in this video, no two conductors are the same. Some gesture with arms big and bold, and others are hardly moving. Some use a baton, and others their hands. Some overly emphasize each of their desires, and others only emphasize what they think is most important. Some are most dynamic during dynamic points in the music, and then change styles entirely during softer points in the score. Some take a very visible leadership role, and others let the musicians take the lead. And, like in business, no two CEOs are the same, from A-type personality dictators all the way down to B-type personality enablers. The key is finding the right style works best for you and is most needed for your business situation and team members; one that will resonate with the team and get them to follow your lead towards hitting your collective goals. When you saw the video of Riccardo Muti, it looked like he was physically going to suffocate the life out of Don Giovanni, the primary character of the opera he was conducting. His style was so micro-managerial in nature, that he had to overly communicate his desires to the musicians, at all times, as if the musicians couldn't logically figure out what to do on their own. As Itay said, he was using the musicians as "instruments, and not as partners" in creating great music. And, what happened to Riccardo Muti with with that leadership style? The 700 musicians of La Scala all signed a letter asking him to resign, which he did. That would be no different in the business world, when you have disgruntled staff wanting to leave a company being micro-managed by an authoritarian CEO. On the flipside, the videos of Carlos Kleiber and Herbert Von Karajan showed exactly how a conductor should lead. They weren't overly animated the entire time. They only got more animated at certain times when they wanted to make sure the music reflected their most-important desires. At the other times, they calmly set the tempo and let the musicians do their thing. And, when things were going well, they just soaked it up, visibly showing their pleasure, which served as a pat on the back to the musicians for a job well done. But, to be clear, when things were repeatedly going awry, a quick glance to the erring musician told them it was time to fix their performance. This is exactly how a CEO should lead--only get involved when they have to, reward their staff for a job well done and put out business fires as they arise. My favorite conductor video was the last one, by Leonard Bernstein, one of my favorite composers and conductors of all time, pictured above. In his video, I was amazed to see his arms did not move once. Is that even possible for a conductor? He conducted the entire piece with his eye gestures only. First, he did not want to get in the way of the musicians shining on this piece. Second, without overt leadership actions by the conductor, the musicians are forced better to listen to each other in creating one perfect ensemble. And, third, he is emphasizing the point: at times, less is more. Each of these are equally important points in the business world. CEOs need to let their staff shine and get them to work better as a team, even without excessive management, all while getting increased efficiency and focus. Anyway, I hope you like this comparison between the music world and the business world, two passions of mine that were expertly intertwined in this video by Itay Talgam. As you have seen in this video (and in your businesses), great conductors (CEO's) "do not interfere" with the creation of great music (businesses) and mentoring great musicians (employees). Instead, they study their score (business climate) and figure out the best interpretation (business strategy), which they clearly communicate to their musicians (staff), and get out of their way. I really loved this video!! When you are running a small business, it is really easy to get distracted. Firstly, your own CEO job most likely has a lot of different tasks, from chief strategist to chief bottle washer. Secondly, your team makes many demands on your time, mostly to help point them in the right direction on their projects. And, thirdly, it’s just too easy to get sucked into the random inbound contacts that come into your email box or through social media. All I can say to you entrepreneurs who are “floating in the wind” of poor time management is: unless you are doing at least one material thing each day to move your business forward towards new revenue or profit heights, you are never going to grow your business as quickly as you could. Allow me to explain. Over the last several years, many technologies have been developed to help accelerate and automate the sales and marketing functions. First, it was upper funnel tools that help drive customer awareness and consideration through marketing automation, which I have previously written about. Then, came the middle and lower funnel tools that help drive customer evaluation and purchase through sales enablement tools, which I will talk about in this post. These sales enablement tools can make a material difference in helping you drive revenue faster, consistently across your entire sales team. 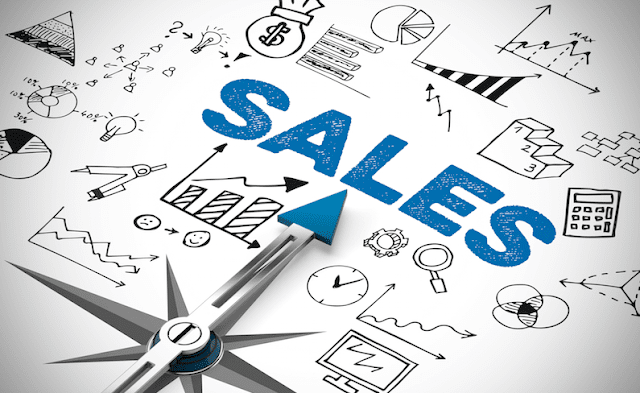 The goal of using sales enablement tools is to set up a scalable and repeatable process to drive revenues, for the entire sales team to follow, anchored by quantifiable metrics and reporting to help prove the ROI of the sales team as a whole, and the individual salespeople therein. It also serves as the bridge between the sales, marketing, product, and brand teams, to ensure the appropriate documents and messaging desired by marketing, is actually being used by the sales team. It is designed to make sure the customers see the most preferred content, at the most preferred times in the sales cycle, mapping to the customer journey and increasing conversion rates in the process. It is also the best tool to create the feedback loop from customers through the sales team back to the product and marketing teams, so they can make the appropriate changes on their end, based on real time customer feedback. Re-read this post on how important it is for the sales and product/R&D teams to be tied at the hip in creating this customer feedback loop. There are really three major functional purposes for sales enablement tools: (i) sales content centralization and optimization; (ii) technologies to automate the process; and (iii) sales team reporting and analytics. The first section is all about organizing the sales content (e.g., email templates, decks, case studies, white papers, competitor intelligence) so it is easily searchable by all sales team members, in a consistent format controlled and approved by the marketing department. The second section is about setting up ways to automate prospecting, triggering automated emails or direct messaging. The third section is about getting visibility and insights around the sales team’s activities, demos, win rate and leads generated, optimizing the sales process and qualifying leads along the way. It tracks data not only from the sales team (individually and collectively), but from the customers’ engagement with the content (e.g., what content did they read the most in the deck, which email template had the best response, what message most lead to a conversion). • Advanced Search—easy to quickly find content by user, type, customer, etc. eCommerce marketers today face two big challenges: designing strategies and campaigns that will stand out from the competition and staying abreast of the technological developments needed to compete with and conquer other online companies worldwide. I reached out to my colleague Erika Jolly Brookes, the CMO at Springbot, an ecommerce marketing data analytics company, to help me in identifying some common traits that are found in some of the most powerful marketing teams in the industry. Here is what we came up with. The only thing worse than an apology is an excuse. Customers and managers don’t want to hear either one. To be clear, marketing companies DO face circumstances beyond their control: system failures, family emergencies and customers with unreasonable expectations. In all cases, a professional marketing team takes responsibility for all problems or issues that arise in their products or services – even if these issues are not their fault. Effective marketing teams always under-promise and over-deliver. They wow their customers with their exceptional customer service, impeccable work ethic and innovative marketing efforts. They solve problems, provide answers and finish ahead of the deadline. In an industry where mediocrity is commonplace and often expected, marketing teams understand one thing: going over the top for customers and managers produces greater job security than any other element of business. High-performing marketing teams are never satisfied with their performance. Their success is not determined by what they’ve accomplished, but instead how that accomplishment springboards to the next challenge. They scrutinize every element of their workflow and look forward to refining their processes for each new campaign. Celebrate your victory, and then get ready to make the next one even more effective. If there are rules in marketing, your top executives know about them, but they are more focused on finding the next big trend, bright idea and game-changing solution. Great marketers take what they’ve been given from management and create something new out of it. They utilize all tools at their disposal and even develop a few new ones to fuel their high-minded ambitions. If marketers are to remain relevant, they have to understand their audience. Translation: They have to care about the customers the business interacts with every day. They have to understand what their customers’ needs are and what they are looking for from the company. They have to adopt their customers’ success as essential to their own. Top-level marketers are empathetic, good listeners and always looking out for their customers’ best interest. Marketing teams know all too well the impact of revenue. Today’s online marketing tools and strategies, such as omni-channel eCommerce, give marketers instant gratification by allowing them to generate revenue faster than ever before. 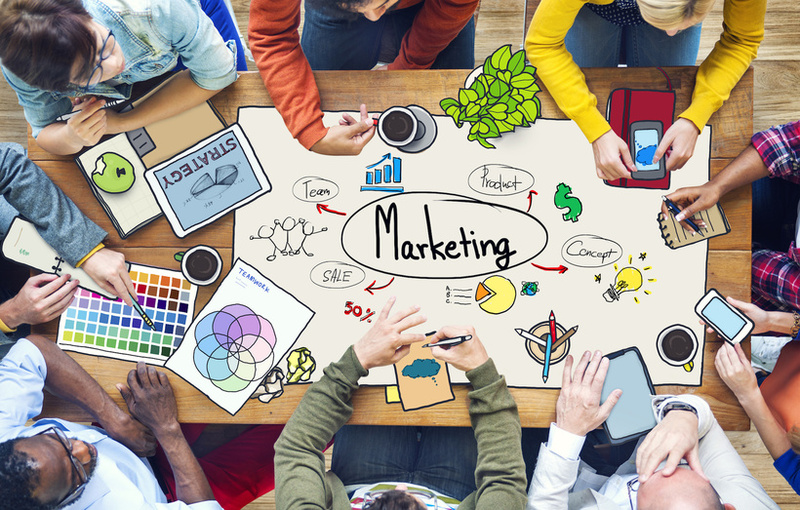 Marketers can also enjoy a wide range of revenue streams. This produces new challenges and opportunities for growth. Being driven by revenue is fiscally healthy and leads to a greater ROI on your marketing spend. Re-read this post on driving marketing ROI. Marketers deal with numbers every single day. So, it should be no surprise that their goals and level of growth can be measured using hard data. Without a data-driven marketing approach, online companies have no clue where they are or where they’re going. 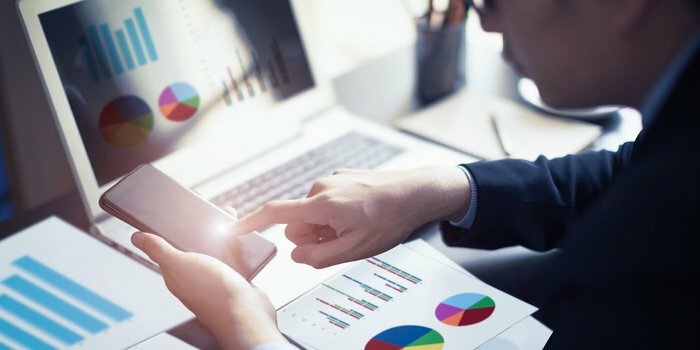 You can’t dispute metrics, but you can learn from them to carve out a path moving forward. 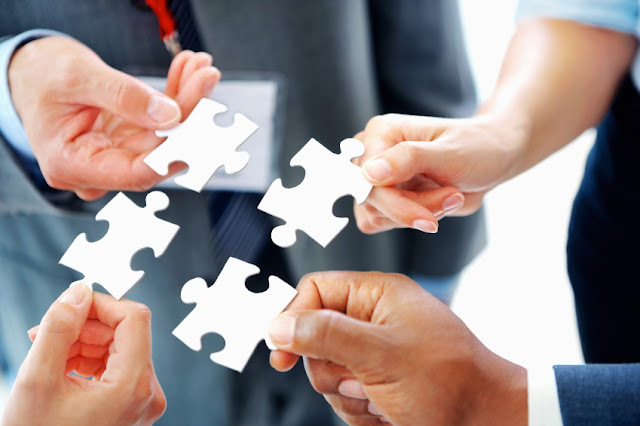 The highest performing marketing organizations are exceptional at working together and collaborating on projects. 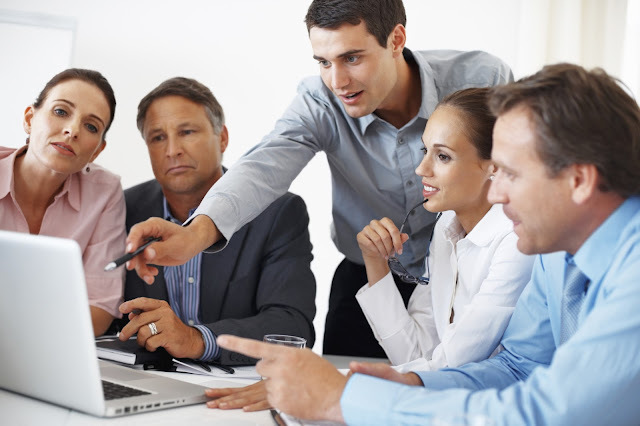 Each member of the team understands the value of experience and knowledge. Everyone knows that the entire team is better and stronger because of the experience and knowledge of the other members. They approach collaboration with the mindset of discovering and drawing from each other’s talents and expertise. Large brands operate on expansive budgets, but small-to-midsize eCommerce companies (like most of your businesses) have a fraction of the resources. Invest in building an agile marketing team that knows how to materially move the revenue needle without a material marketing investment, and you’ll be well-suited to ensure your success online against bigger competitors. Re-read this post for example growth hacking techniques. If you follow these tips, you can build a marketing team that is highly skilled to execute marketing strategies that will out-perform the competition. Thanks again Erika for helping me with this piece, and be sure to follow Erika on Twitter at @ebrookes. Every entrepreneur believes they have the greatest product that is going to revolutionalize the world, worthy of venture capitalists bathing them in piles of cash to achieve their dream. But, venture capitalists don’t back products, they back winning business models. And, winning business models are anchored by companies that have the potential to generate lots of revenues with easily scalable, repeatable and profitable sales and marketing strategies. And, none of that will be truly determined, until you successfully test and optimize your product-market fit with potential customers. This post will help you learn exactly how to do that. Product-market-fit is the point at which you have identified the best target industries, buyers and use cases for your product, to the point sales become repeatable and scalable and your product is flying off the shelves. It is the holy grail for most startups, that dictates whether they are on the path to being the next one-in-ten “10x” investment return companies for their investors, or the next three-in-ten flameouts that crashes and burns out of business. HOW TO IDENTIFY PRODUCT-MARKET FIT? To me, there are several distinct phases in the search for product-market fit: (1) you need to have a basic understanding of the market landscape and the key pain points being solved by your products; (2) you need to research the various industry verticals and potential buyers where your product may sell, to find the one where you think your business will have the most success to start; (3) you need to take your product to market to validate your hypotheses, and begin to optimize your target clients, use cases, messaging, price points and go-to-market strategy; (4) you need to close your first clients and learn your conversion funnel metrics, marketing economics (e.g., CAC and LTV) and learn user behaviors like their product engagement levels, utilization rates and lost customer churn rates; (5) you then optimize the above to make your sales process repeatable and scalable in a large market vertical, including optimizing your hiring, employee training, customer onboarding, the sales-to-operations handoff; and (6) you validate your ability to scale is profitable, your churn rates are low and will result in a material size business. The best way of doing market research is actually talking to your potential customers, dozens of them. And, no, not in some online survey; in an actually face-to-face or phone meeting with them, that is more interactive, and you can see how the conversation evolves in real time. Ask them what their current painpoints are around your industry, products or competition, or how much they would be willing to pay for that solution, you would be amazed what great insights come out of their mouths. They’ll tell you exactly what you need to build to make their lives materially better. In addition, seek insights from your employees, especially your sales and operations team. Your sales people are in the market everyday talking to customers, you need to have a process to get those insights into the head of senior management. And, your operations team is typically seeing all the problems with the product and hearing the complaints from your customers. Any customer facing complaints need to bubble up to management and the product team, so they can quickly fix them. But, worth mentioning, make sure you have a large enough data sample here—the opinion of one person, is just that, an opinion. But, hearing the same points over and over again from multiple stakeholders, is something you most likely need to jump on fixing. There is not only one correct answer for determining product-market fit. You need to be tinkering and testing with all the inputs along the way. For example, try three different price points, and see how far you can push it, before the customers start complaining or your conversion rates fall. 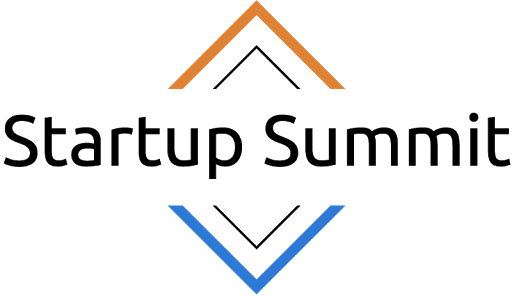 Or, as another example, A/B test various sales pitches, emphasizing different aspects of your product, to figure out which specific feature is the one that gets your customers the most excited. Then double down on the winners after each iteration along the way. It is very easy to say your product appeals to many different industries and many different use cases, let’s go out and sell our products to them all. That is a recipe for disaster. When startup budgets are limited, it is always better to have a much more narrow focus, to start, and go really deep in that one narrow vertical. That will make you the clear industry expert in that domain, which will help spread the viral word-of-mouth and stimulate growth materially faster. In this case, it is much better being the master of one domain, than being a Jack of all trades. After you have built your scale and profitability in your first vertical, you take those “bullets” and fire them away in the second and third tangential verticals to your first. But, before doing do, make sure you have documented your process, learnings and framework from the first vertical, so you can apply to the next verticals, so you don’t make the same mistakes twice. And, at all times, make sure you stay focused on the long term vision. Don’t get swept up in the whims of the market that can having you chasing rabbits into unprofitable rabbit holes. As you will learn, the behaviors of one industry, buyer role or use case, may have a materially different “rhythm” that another. So, you can assume what worked in one vertical, will work exactly the same way in the next vertical. Everything could be different. From your go-to-market strategy, to your sales cycle to your sales funnel metrics. For example, let’s say you are selling marketing technology. The needs of an enterprise level chief marketing officer (more strategic), will be different from the needs of lower level enterprise marketing manager (more tactical), will be different from the needs of a marketing agency serving that same enterprise client (more service oriented). So, customize your pitch accordingly, depending on who you are pitching. First of all, you need to calculate your total addressable market size, to make sure you have a realistic chance of materially scaling your revenues. Second, you need to make sure you have a product that can withstand the onslaught of competition that will follow you into this market, if you are successful. That typically means having some clear competitive moat or customers who are not sensitive to price. For example, products related to “wisdom” typically come at premium and defensible pricing to “widgets”. And, third, think through your lifetime value of your revenue stream. You want products that are consumed frequently, to drive high repeat purchases, and solve major pain points for your customers. As I have said many times in the past, you need to be building “painkillers” for your customers, not “vitamins” to have any chance of materially scaling your business. HOW TO MEASURE PRODUCT-MARKET FIT? You can’t manage what you can’t measure, and the same holds true for your product-market fit. So, you need to figure out what key data points will help you track your success here. Some of those data points are pre-transaction, like sales cycle, unit-level economics and conversion rates. And, some of those data points are post-transaction, like repeat buyer percentage, lost customer churn rates and average daily usage of your product by your customers (e.g., how sticky and engaging is the product). So, figure out what makes your business tick, in terms of product-market fit, and track and manage against those data points. David Skok, the venture capitalist at Matrix Partners, wrote a terrific blog post on this product-market fit topic. It included a great list of the key questions you need to be asking yourself along each step of the product-market fit process. And, it included a great calculator template to see how you can score your product-market fit. Create a similar calculator for your own business, and you will quickly learn if you are heading in the right direction or need to retreat into a new direction. 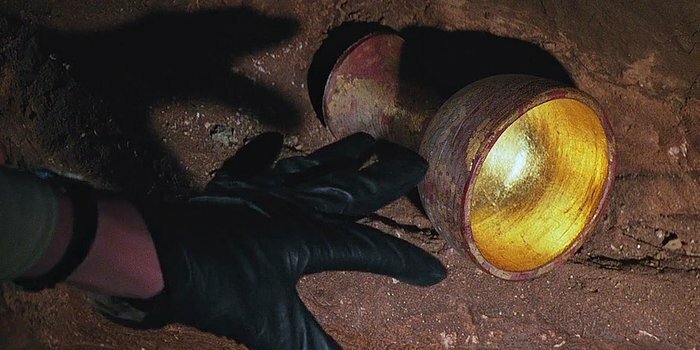 Just because you found the holy grail of product-market fit, doesn’t mean you will keep it. You need to constantly be re-learning the market conditions and talking to your customers to learn how their needs may be changing over time. Constantly stay “paranoid” of losing your customers, to keep your competitive edge at all times. As you can see, determining and optimizing for product-market fit is a really big deal. It can be the difference between a huge win for you and your investors, or a complete loss of invested capital, even with a really great product. If customers are not lining up to buy your product, or your product isn’t sticky enough to retain them, or your product creates unnecessary strains for you or your customers while fulfilling your services, it is time to go back to the drawing board, and start rethinking your product strategy.